My daughter puts on her heaviest mittens for a test ride on a warm October day. Why ask why? In honor of today’s half-hearted holiday, which has closed banks and K-12 schools yet left me with a day of teaching obligations, I offer a half-hearted post. 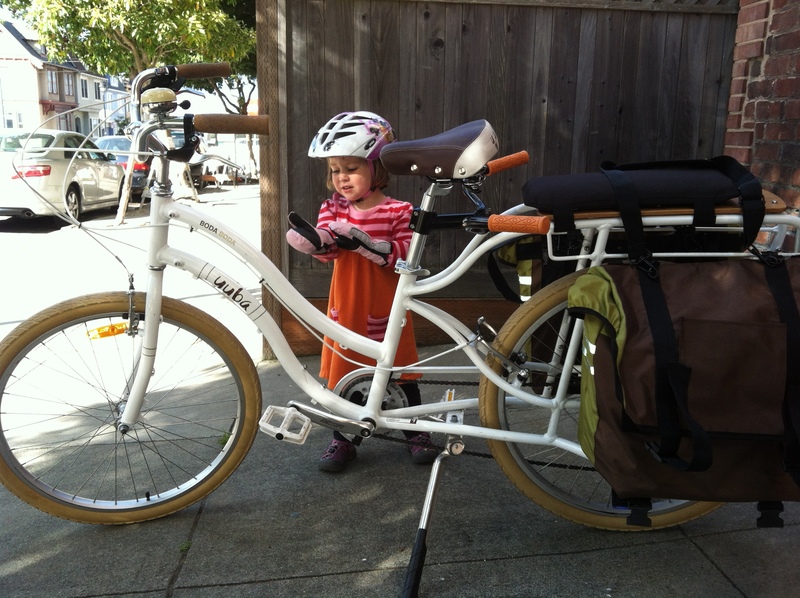 Look what stopped by for a visit: a Yuba Boda Boda! This bike is a trip. My verdict: not bad at all. More to come.